Can't get enough of personalized jewelry? 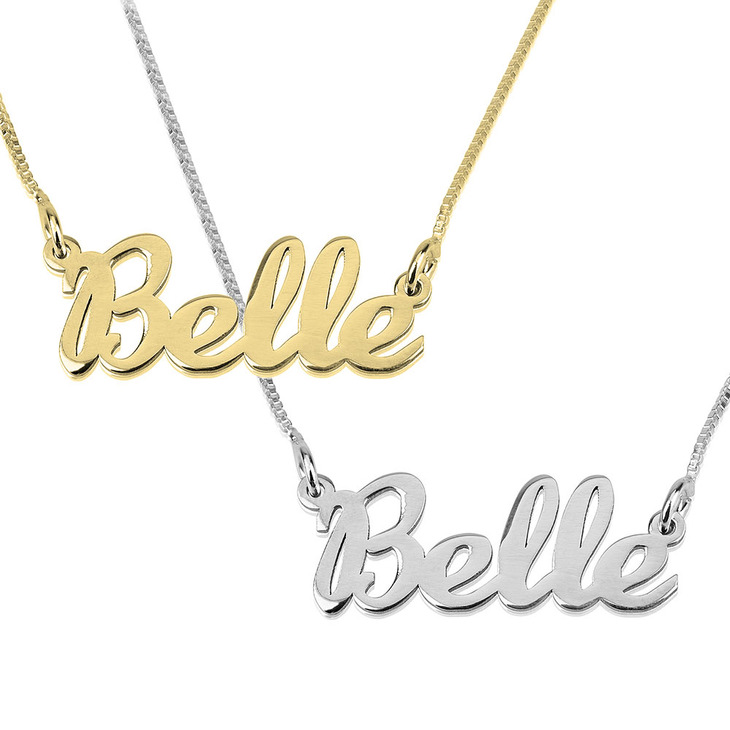 You'll be obsessed with this Cursive Name Necklace exquisitely customized with the unique name of your choice for a fashion-forward and timeless look. This unique name pendant also makes a thoughtful present for someone special in your life. 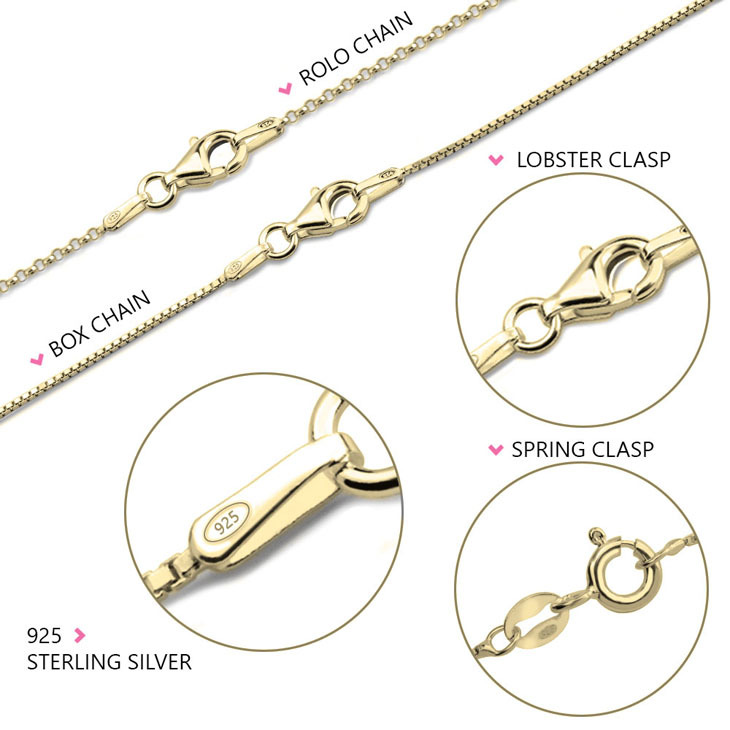 Available to choose from sterling silver, rose gold, or 24K gold plating, with your choice of box or rolo style chains. Order your very own today, with free shipping worldwide! Ordered this necklace for my daughter's birthday. I was very happy when it arrived. Good quality, fast shipment! Can't wait to give it to her. My daughter loved her engraved necklace. Got this necklace for my 14 year old daughter. It is absolutely beautiful. I was afraid it would look cheap but it's nice and well made. The gold plated looks like real gold. Would definitely recommend for a good keepsake or special present. It came out beautiful and my granddaughter loves it! I absolutely love my name necklace. It's gorgeous! My only only only issue is that since it's not completely real gold, the color has started fading on the chain. I've had it for 2 to 3 months now. My advice to you is don't wear it when doing anything water related. Silver & Gold Plated Name Necklace is Perfect! I ordered the name necklace as the silver with gold plating. it is a beautiful necklace!!! It arrived exactly as on the website, as promised and the necklace is durable and very strong. Sometimes it gets caught in my crossbody strap/clothes and it can take it! Very strong and attractive material, everyone complements it! The only thumb down is the packaging, it was absolutely fine but it came wrapped in a small piece of cardboard, sorry im picky about the presentation. Nonetheless, I will be buying from Onecklace again! Thanks. I have bought 4 necklaces from this website and have yet to be disappointed. ..great quality and affordable prices! The necklaces are wonderful and will continue to buy!!! I like to give some time before writing a review for products I order. I literally wear my necklace every day. It has not changed colors and I loved the price! It came pretty quickly in the mail. I have no complaints ; it is the perfect necklace! I always get compliments on it and let everyone know where they can order their own! Thank you so much! You have got my 5 stars! Ordered a necklace for each of my two daughters and they are perfect! Necklaces are of great quality and shipping was in a reasonable amount of time. Would definitely do business with this company again...very pleased! Great & excellent seller @ seller highly recommended !!!! Great quality. Doesn't look cheap. The chain looks really sturdy and secure. The engraving is really neat. It's a beautiful piece of jewelry. I just received my necklace with my nickname " Hedy" on it.I love It !!!! 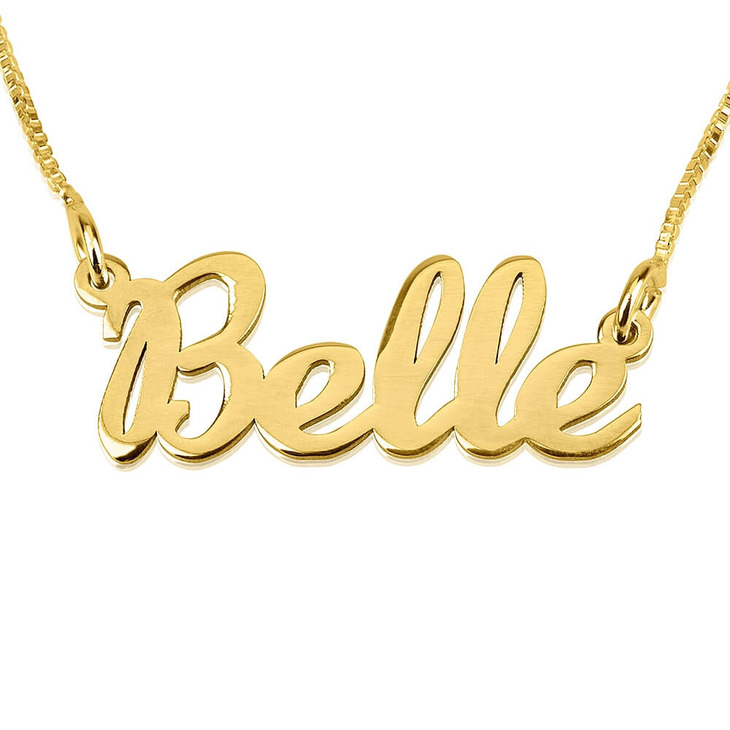 I purchased a gold-plated name necklace from Onecklace--and I looove it. I wear it pretty much everyday and I get lots of compliments on it :) I def will order another necklace from you guys in the future! 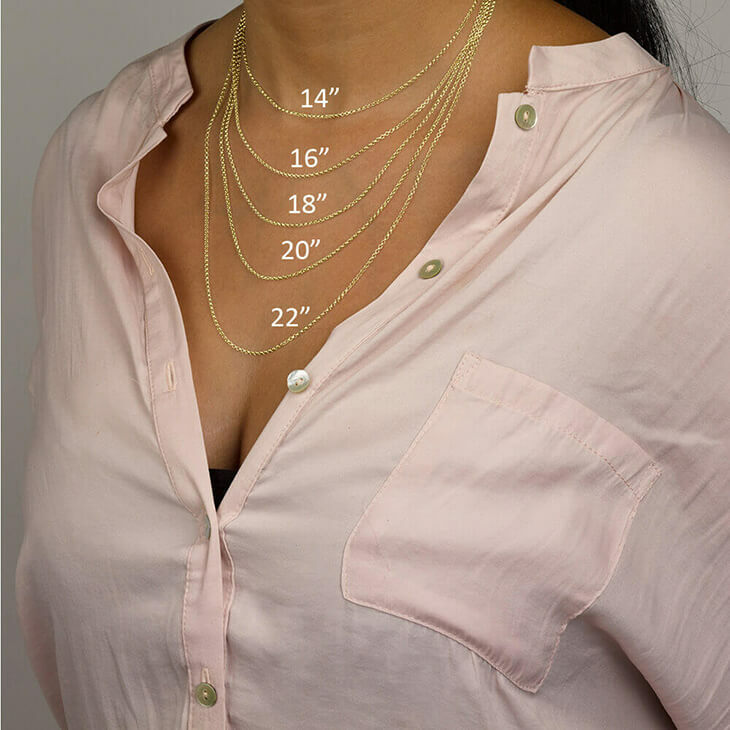 I have ordered four of these necklaces in the past few months. They are great gifts. This is a quality necklace and the customer service is great. I will surely order again. I am more than happy with my necklace! I highly recommend it and I will surely purchase more soon! I wear it everywhere I go! I am simply loving my necklace. It goes with any outfit I wear and is just perfect! It's beautiful, has a great weight to it and the chain is very nice. Thank you! The necklace is nice. I just wish the "V" was a bit more pronounced; the "V" looks more like a "U". Also, the "i" next to isn't very distinguished; there isn't any space between the "V" and the "i". beautifully made with fast delivery. Looks priceless, unique, and special. thank you! Fast shipping and absolutely love my necklace will be placing more orders soon! Shipping took FOREVER!!! And i still have not gotten my necklace. I ordered on March 21 and it is May 8th and i still have not received my necklace. When you contact them they get back to you fast but at the same time it's been over a month. They said my order was lost in the mail and offered to send me another for free plus a small gift but at the same time they should of given me a discount. I would say there customer service was horrible because when they reshipped it they didn't even offer to do express shipping. I would not recommend buying from here because there are tons of other places to get name plate necklaces that won't take this long. I am just happy i didn't get the 14 cart because it would of been more of a headache. I found out about his company from Claire Marshall who i love and i think that the quality will be great when i get it but i can not comment on quality i have not seen all i can comment on is what i have experienced so far. I ordered these for my bridesmaids. They loved them!! Thank you so much. They were also shipped very fast. I love my necklace but the chain I received was much longer than 18 inches and you also lost my necklace in the post. Fast delivery and pretty necklace! I get lots of complements everyday. I loved my purchase I had bought the gold 24k gold name plate, with the 16 in. rolo chain an surprisingly of how tall I am (5'6 - 5'7) the chain wasn't to long or too short. I do not go in the shower with the necklace but I have washed my face with it on an as it dangles down water does come in contact with it. I do where it every day so by the end of the night I check it to see if the color is different or if it has dinged out and superisingly it hasn't ! It looks brand new every day I get a lot of compliments on them an to prove you're jewlery is 100% made of the real deal it comes with a certificate stating it is, an so does the jewlry itself it's stamped by the clasp an the back of the name plate. Shipping was FAST...incredibly, incredibly, incredibly fast I will be re-purchasing from this company again. I love my necklace but the chain is short causing it to be tight around the neck. Why can we do to fix this? I absolutely love my necklace. The quality is beautiful and it arrived in a timely manner. Thanks again! The delivery was very quick and the result turned out to be really pretty. I highly recommend it. I love this necklace so much. It is gorgeous and so well made. I love it so much I just ordered the.same necklace in 14k!!! I think I may also get one in sterling silver so I can wear it with my white gold and silver jewelry! This is the best name necklace site by far! So lightweight and beautiful!! Get tons of compliment on the necklace. I love my nameplate necklace! I receive compliments on it every time I wear it! It was shipped quickly and I am looking forward to adding some more to my jewelry collection! I got this for my daughters Xmas present. She loves it. So far no complains. Will order one for myself. Awesome. My girls love it. Hopeful they are durable. Not disappointed with the product, was very pleased how well it is made and I never take it off and it still looks brand new!